Project Cost – Content forthcoming. Please check back! AEI’s Services – Erosion control, earth moving (including individual lots and road slot), storm sewers, sanitary sewers, and seeding. 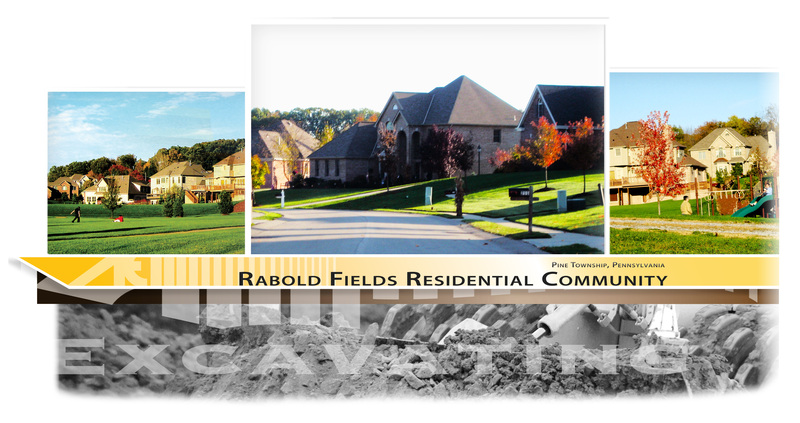 Summary – Completed in 2005, this project continued AEI’s longstanding, successful relationship with Herbert Brothers, Inc. Rabold Fields is a residential development in Pine Township that contains 75 high-end homes and a community park located at the center of the plan. More content forthcoming. Please check back!